A Thinner Tighter Fitting Glove with re-enforced palm. Right Hand gloves are worn on the right hand for Left Handed Golfers. 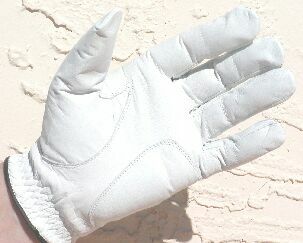 Left Hand gloves are worn on the Left Hand for Right Handed Golfers.